The Secret of Running | How to get faster and fitter! Meyer&Meyer Premium-the next level of instructional sports literature with high-quality, full-color books. How much power does your human engine have? How much power do you need for running in different conditions? How can you optimize your training and racing performance? How can you use power meters to improve your results? What are the ultimate limits of human performance? The Secret of Running answers all of these questions. All factors determining the performance in running (from 800-meter race to marathon) are explained step by step: training, nutrition, body weight, running form, wind, hills, temperature, running gear, power meters and much more. Written in a crystal-clear and lively style, this book is a wealth of information for every ambitious runner. 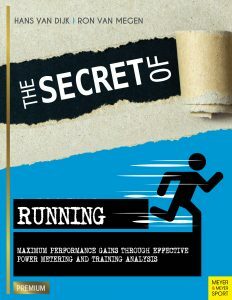 This title also contains brand new insights on how the balance of the power of your human engine and the power requirement for running in different conditions determines your performance. It shows how power meters can be used to optimize your training, running economy and race result. This book is lavishly illustrated and packed with useful data. 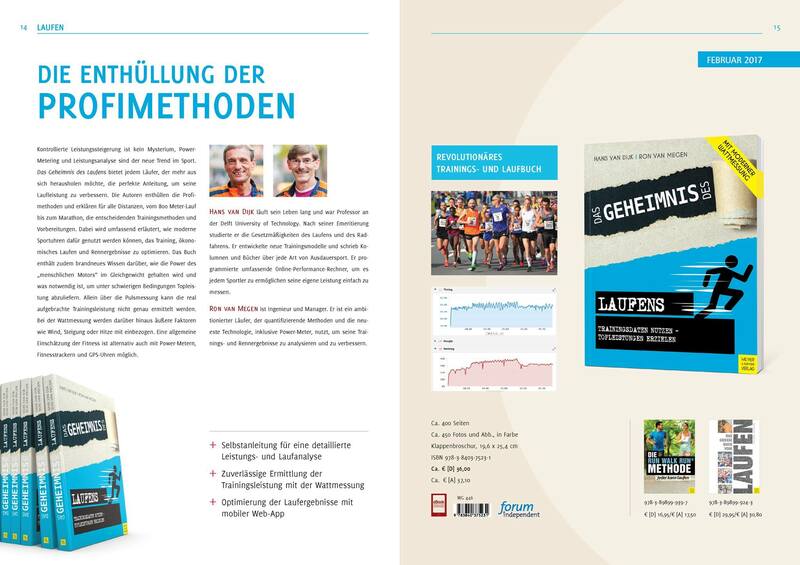 Being already a bestseller in the Netherlands and Belgium, The Secret of Running can be considered the ultimate textbook for all serious runners and their coaches. books and columns on running, cycling and other endurance sports. He has developed the running and cycling calculators, enabling the readers to analyze and calculate their own performances. managing director. He is keen on quantifying his results and on using all new technologies, including power meters. He has taken many of the photographs in the book. Is there an English translation of the book? We are currently working on the translation of the book. For your information, we have attached a link to a page on the Dutch website. At the bottom of this page you can find a link to: The secret of running Chapter 1 and Table of Content. We are still open for suggestions for international publishers or partners.